The Windham County NRCD is pleased to be able to offer our Emriver Em2 River Process Simulator —also known as the stream table—for use in your classroom or program. The stream table can serve as an effective tool for demonstrating river geomorphology to all audiences. 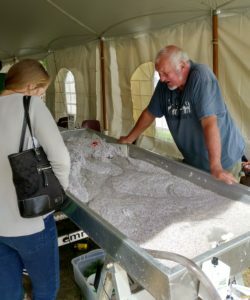 This interactive tool is a perfect way to engage people in river science, engineering, and the geosciences.The Stream Table simulates river processes with remarkable accuracy by demonstrating the basic principles of river behavior, subtle channel morphology, and sediment transport processes. The stream table is available for single day events or week long programs for organizations/schools that have attended a training program offered by the District. Groups who have not attended a Friends’ training and programs longer than one week will be considered on a case by case basis. Fees may be higher for other users or longer use periods. Also, if you wish to have the District Staff assist with transport, set up and/or running the table, that will also be considered on a case by case basis and subject to the availability of staff. Fees will vary based on the assistance needed, location, and duration of the event. The Friends do not have ongoing funding to support the stream table lending program. Therefore, in order for us to continue the program, all stream table users are expected to do the following. Please review prior to contacting us about usage. For periods from 1 day to 1 week, there is a fee of $50. Payment must be received in advance of the start of your program. Cash or check (to: Windham County Conservation District) can be submitted upon confirmation of your Rental Agreement Form or at the time of pick up. Work out pick up and drop off times with the District in advance of your program. The user must be responsible for loading and unloading the stream table and all components by themselves. This generally takes two people. Users are financially responsible for any lost or damaged parts. A pickup truck is recommended for the transport of the stream table. At the end of a program, you must allot at least one (1) hour for the sediment to drain as much as possible. All accessories must be thoroughly rinsed and dried before packing them. Breakdown including draining time for the sediment is at least 1.5 hours. Please plan accordingly. You will be expected to sign a rental form agreeing to the above. If you would like to rent the stream table, please follow the steps below. Contact the District at windhamcountynrcd@gmail.com if you have any questions. 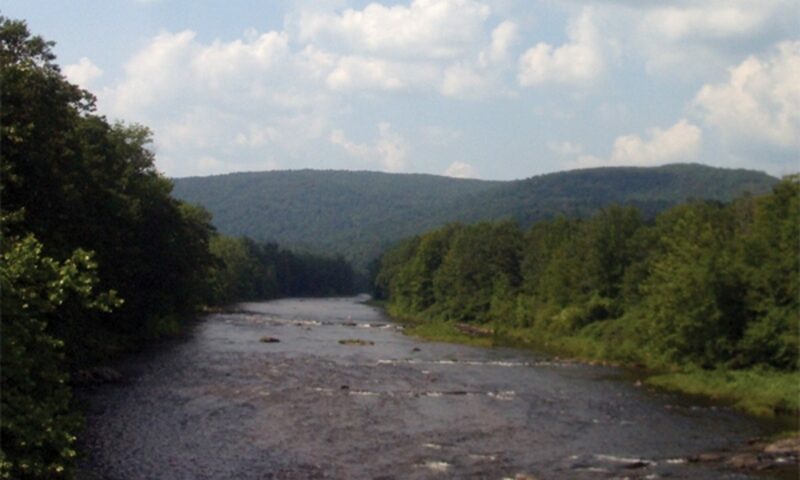 The table is located in Brattleboro. Nature of your event or program—purposes, expected number of participants, etc. The District will confirm the dates and your information, and send you a Rental Agreement Form. The renting party must sign this form and send it back to us along with a check. Payment can be made via check or in person at the time of pick up.